CRP’s partnership with Phat Beets and People’s Grocery began in 2011 with a garden mural in Dover Park painted live during the Cesar Chavez celebration. CRP was then invited to contribute portraits of local heroes at the Chestnut Green Corridor behind the California Hotel. 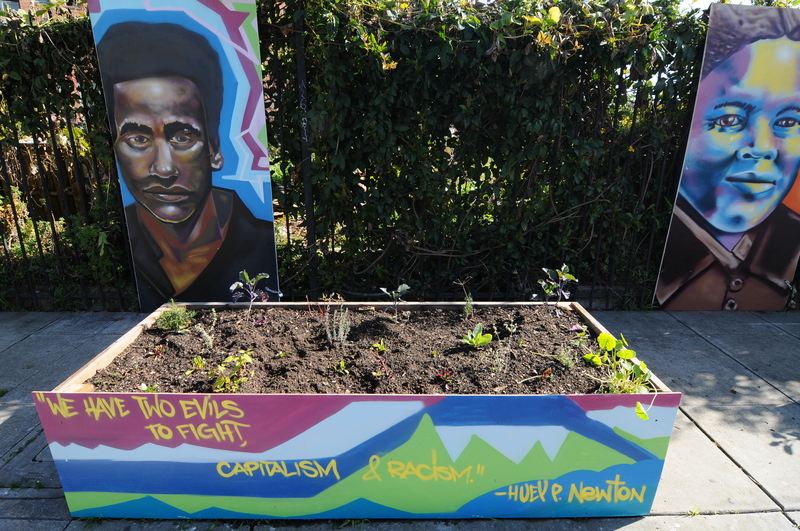 In total, CRP has painted 7 portraits on Chestnut and added a mural in the People’s Garden during the Corridor dedication in April 2012. CRP’s next project will be painting the People’s Grocery headquarters on 7th and Market.